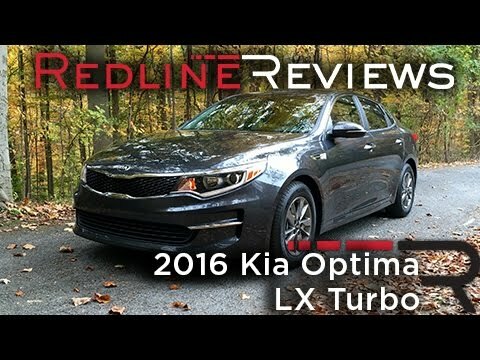 Already a segment leader in the areas of performance, power, fuel economy and features, the 2017 Optima sedan runs the gamut from affordable family transport to high-performance turbo sports sedan. Along the way, two hybrid variants ensure optimal fuel economy, and all 2017 Kia Optimas feature a 10-year/100,000-mile powertrain warranty. Good gas mileage, I was upset when the handle on my door fell off. I am happy with the car overall. I love the leather interior, heated seats, heated steering. Great features to have in the wintertime. I am just not happy with Kia finance. This is the first vehicle I have ever leased and it will definitely be the last. Terrible experience. My bills are always wrong. When I call to try and fix it and different representative tells me something different every time I call. Like they do not put notes in. Mangers are not even a help. They keep charging me late fees when I pay on time. It is ridiculous and it is destroying my credit. Blind spot monitoring, automatic emergency braking forward collision warning. Haven't had any problems as of yet rides very smooth nice and roomy love that I can hook up my phone to the stereo for talking hands free and texting it's easy on gas the controls are easy to figure out large trunk the institute for highway safety named 2017 optima top safety pick+, the agency's highest award the ibis also gave 2017 optima excellent ratings in every crash test, along with superior ratings for frontal crash prevention technology side crash and rollover as well "17"optima received five out of five stars overall. This is my favorite car I've ever had! I've never had any problems with it. It is very reliable. I love the heated seats and steering wheel, it's very nice to have on 20Â° days. The full moonroof is amazing too. It's a beautiful car. The features on it are amazing like the fact that I don't have to turn off my high beams when cars are passing because it does it automatically. Also how smart the car is and wont let me get too close to another car and the surround cameras come in handy too.